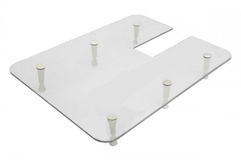 Deluxe Table Size: Width 605mm (24") x Depth 450mm (18"). A great addition for quilting, soft furnishing, dressmaking and many other larger.. If you have an Brother Sewing Machine that you can't get an extension table..